Marking an organisation as a user&apos;s "home organisation"
Configuring ADFS 2.0 for itslearning eLogin. The district or school will need a valid license in order to use an extension. As a vendor you can easily enable this within your itslearning administration. For commercial extensions, we charge a commission on sales to our customers. The price is set by the supplier when the extension is being registered. We offer a back end system where different prices can be set per country. All customers are charged in their local currency. We recommend annual licenses based on number of users. It can also be school licenses and more than one year. A customer signs up for a number of users or schools and get a discount based on this number. 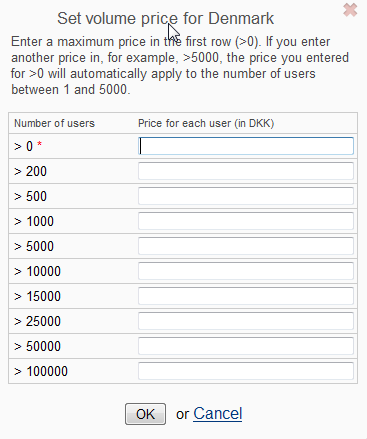 When you register your Extension you will be asked to fill in a discount matrix (screenshot). 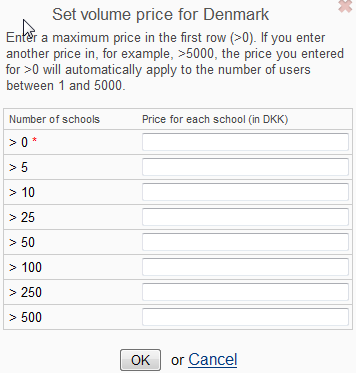 This makes it possible for us to make a price list for all extensions. itslearning offer a generous revenue sharing model. By integrating with the fastest growing learning platform in the market, your tools and content could be distributed to millions of users worldwide. Only 15% of the revenues goes to itslearning. For sales to our customers made by the supplier, the supplier will provide itslearning with a sales report so itslearning can invoice the supplier.